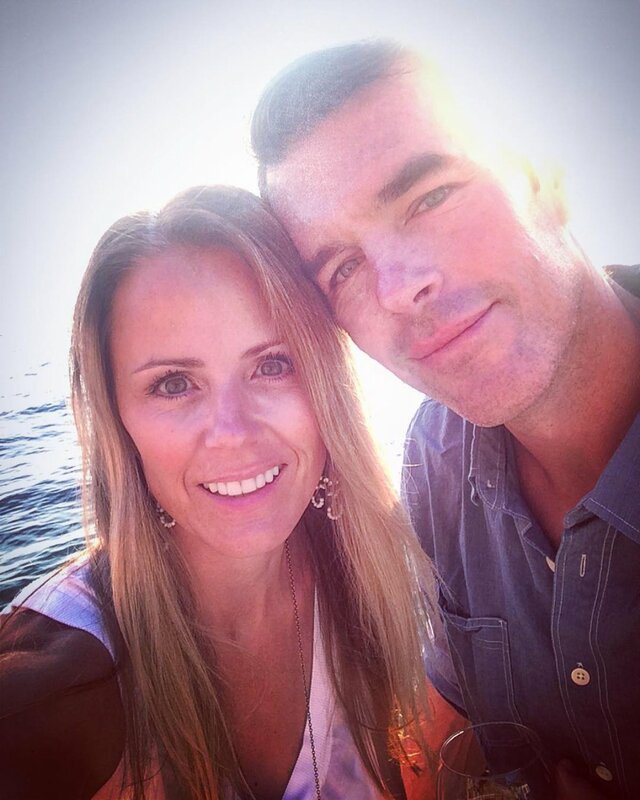 Trista Sutter's husband Ryan Sutter has opened up about the former The Bachelorette star's frightening seizure and hospitalization. Ryan, who proposed to Trista on The Bachelorette's first-season finale, posted a photo of Trista on his Instagram account on Monday, June 5. The picture featured Trista, 44, looking into the lens of a camera during their family vacation in Croatia last week, and in the caption, Ryan recalled what it was like to witness his wife's health scare while overseas with their two children, Max, 9, and Blakesley, 8. "I've had this picture to post for a few days. I just haven't been sure what to say? Like my mind, the photo has sat as a 'draft.' In limbo. A bit confused. It was taken one day after my wife, unexpectedly and without a definitive cause, seized violently in front of her family on a shuttle bus full of strangers," Ryan, 42, revealed. "In almost 17 years as a firefighter, my experience has trained me to address the immediate emergency. However, little in my 42 years of life prepared me for the confusion and contemplation that remains after the tide of immediacy has settled." Trista was hospitalized on Thursday, June 1 due to the seizure. Hours before Ryan broke his silence on social media, Trista explained on Instagram that she had fallen on her daughter's chest as she watched -- along with her brother and grandparents -- in "confusion and horror" as Trista "stared blankly off into the distance and started turning blue." Trista said she woke up from the seizure in a Croatian hospital being "poked and prodded." "What has helped is the outpouring of kindness received from our friends, family and even those that we've never personally met," Ryan continued in his post. "Without a doubt, you have been instrumental in the healing process and a humbling source of strength for @tristasutter and I. So, with that message, I post this simple picture. It's my wife -- at her best -- capturing life as she always has, though now through a more meaningful lens." Trista -- who changed her last name from Rehn to Sutter when she married Ryan in December 2003 -- vowed to live a better, fuller life following her seizure. The life-threatening event reminded her that every person has "an expiration date." Trista and Ryan met and fell in love on Season 1 of The Bachelorette, which premiered in January 2003. Their wedding later aired as a TV special entitled Trista & Ryan's Wedding. Trista, a former Dancing with the Stars and Fear Factor contestant, first appeared on a reality TV show when she competed for Alex Michal on The Bachelor's first edition in 2002. She finished as the runner-up.